We offer Christ through Community and support each other's efforts to be Christ to our communities, both local and worldwide. These are open doors to outreach ministries. Give any of these people a call and they help you get involved. Pregnancy Resource Center - Helping young pregnant girls value and prepare for the little life they carry. VA Hospital - Donating practical items like socks and toiletries to our Vets. Twin Rocks Camp - Improve our great camp in Rockaway. 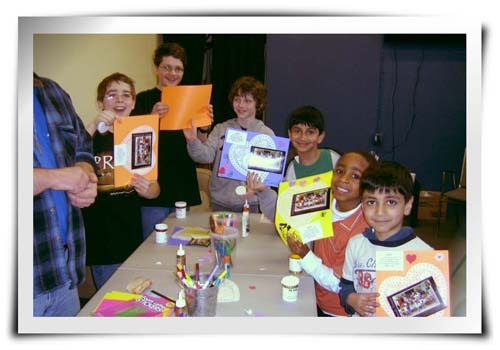 Letter Writing - Send a note of encouragement to our people serving time and to needy children overseas. We also resource our prisoners with Bibles. Jews for Jesus - Get out the good news of Jesus to the Jews living in our communities. Walk to Emmaus - Deepening people's spiritual life with a healing and inspiring gathering over the course of a few days. We also have people serving their communities vocationally. Doug, and Rebecca are school teachers. December works with the emotionally troubled who come into contact with law enforcement. A number of our people support a needy child overseas and we are now connecting with that by writing letters on behalf of our sponsors who would like their kids to be receiving more letters.